As we come upon the end of the calendar year, I suggest you look at your voluntary retirement plan. If you are currently participating in a plan, see if you can start putting more money into your retirement plan for the upcoming year. If you are not participating in a voluntary retirement plan, look into what is offered and start participating if you can. If this option is not available, look at an IRA or similar plan through a bank, credit union, security broker or other entity. By doing so, and if it is a qualified pre-tax plan (as many are), you will not be paying federal income tax on the income deposited into your retirement account until you withdraw it (i.e. you are deferring your federal income tax liability). 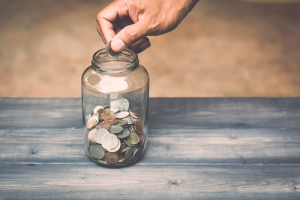 Ideally, a withdrawal would not occur until your time of retirement when your tax rate is potentially less than in the time period you were working and saving for your retirement. If this occurs, you end up not only deferring your federal income tax liability on income related to what you contributed to your qualified retirement plan, but you may also end up paying less taxes if you are in a lower tax bracket at the time of withdrawal. As a matter of note, should there be a withdrawal before you reach the age of 59 and a half, there could be a 10 percent “early withdrawal” penalty assessed by the IRS on the withdrawal amount in addition to federal income tax. It seems as if there is never a good time to start saving or saving more. As you have the opportunity, speak with those involved in financial planning or your retirement plan administrator for tips and advice on starting and building your retirement fund. Sooner (to the extent it is reasonably possible) is better than later – just ask those who have retired or who are coming upon retirement. For more information on FSRMF’s services and coverage, give us a call at 850-320-6880.